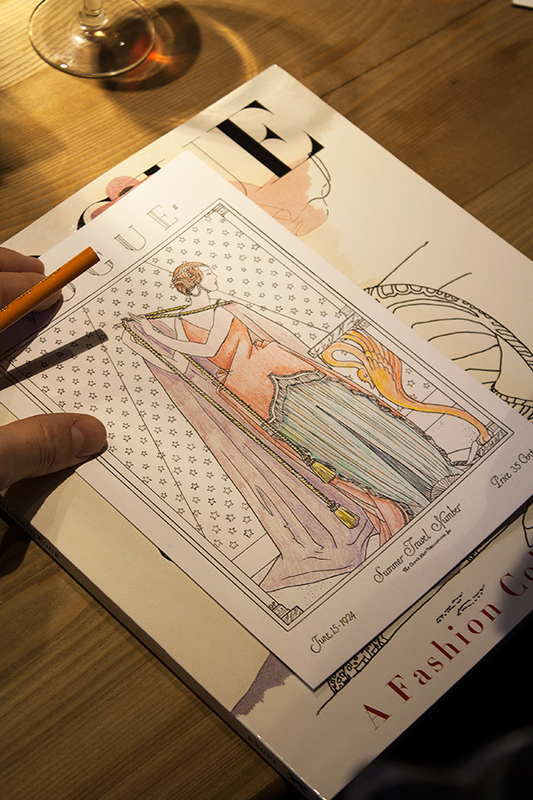 Adult coloring books have taken the world by storm. 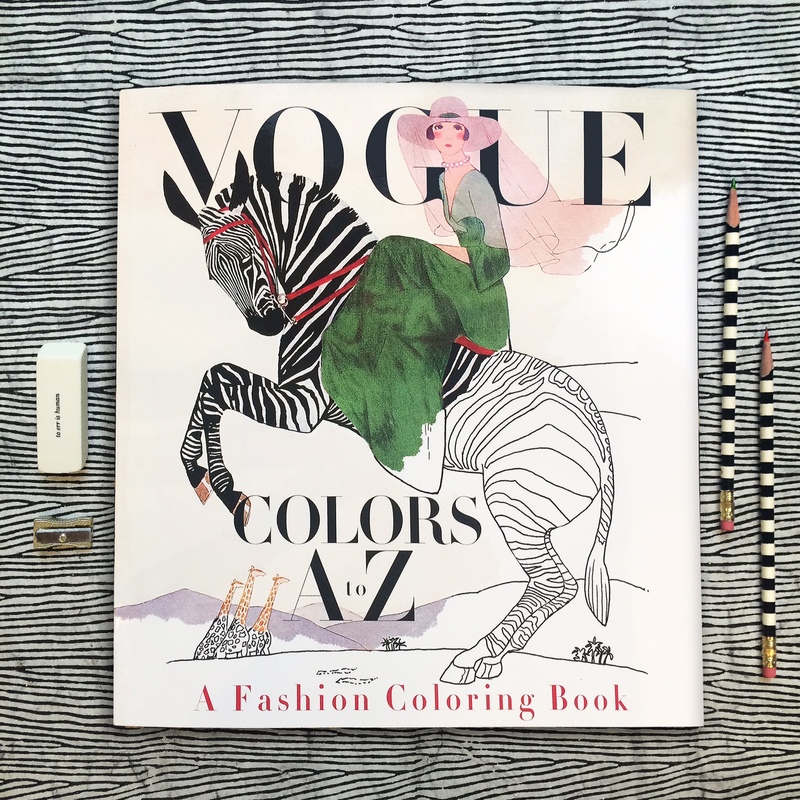 Here, Andy Hughes, (Vice President and Director of Production and Interior Design, Knopf Doubleday Publishing Group) takes us behind the scenes of the new Vogue Colors A-Z. 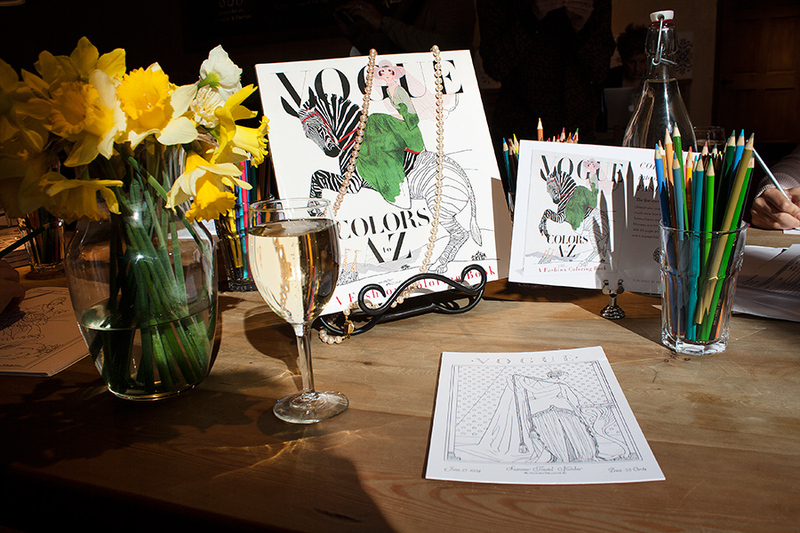 The Vogue coloring book is my first foray into the making of what’s become a publishing phenomenon. I’ve been producing books for Alfred A. Knopf publishing for nearly 40 years, during which time, I’ve handled every genre of book, including massive, sumptuous coffee table Vogue books (Vogue Living, World of Vogue, Vogue Weddings), so I welcomed the opportunity and challenge to figure out how to put together a typically lower-priced interactive consumer book coupled with the prestige of the Vogue brand. When the idea was introduced to me in December 2015, it was soon apparent that reconstructing full-color vintage Vogue cover images into outline form would be a difficult challenge. Valerie Steiker, the Vogue Editor who conceived and assembled the project, sent Knopf’s editor, Shelley Wanger, four sample images at my request for testing. The alphabetical architecture of the book meant 26 images; when I studied them all, some of the covers were rendered simply with large mono-colored elements, others with the shadowing of garments with folds or the translucency of a diaphanous silky material, and the rest elaborated with rich details of texture and pattern. The goal of retaining the readability of the images, without the assistance of color, shading, and texture, was my immediate concern and challenge to figure out. The first task was to de-colorize the image and delete the tonal gradations of the art. I had a pre-press vendor handle this in Photoshop, instructing them to retain as much of the skeletal outlines of the images as possible. But, the resulting image file retained just a soft, fuzzy outline, and many of the details got diminished in this filtering process. It was apparent that the services of an artist-illustrator would be needed to re-draw the art to enhance the line and embellish the image to suggest volume and delineate areas of detail for the colorist to fill in. A young, fashionable colleague of mine suggested her aunt, Cecilia Lehar, who did just this sort of inking. So, I wrote Cecilia, who years ago had coincidentally worked on Vogue patterns for 11 years, and worked on an exhibition, 250 years of Fashion, for the Philadelphia Museum of Art. I reviewed her portfolio, and asked her to prepare a line art version of the four pieces I had de-colorized. Her initial work was excellent: faithful to the original, yet now as a line rendering that could be successfully filled in with colors. From that moment on, for the next month, it was meetings at Vogue and in my office to review the ensuing progress of Cecilia’s re-work of all the illustrated covers and incidental art throughout. In the book, each cover appears on the right side page of a spread, faced on the left page with the letter of the alphabet that corresponds to some element or theme of the cover image. Initially, the Vogue Deputy Design Director, Alberto Orta, chose a period-appropriate “Deco” border motif surrounding the letter of the alphabet, dramatic with contrasting black and white panels. We realized quickly that any solid filled-in area needed to be “emptied” to only an outline so another element of the book could be filled in with color by the book’s owner. And, each letter is further decorated by drawings evocative of the letter and cover image, which also needed to be re-drawn as line art. So, as the book took form, we added more and more colorable areas. The book also includes a six-page barrel gatefold insert, perforated for removal from the book, comprised of 21 appareled models, consecutively arranged, representing the years 1912-1932. Again, each figure required re-drawing and refinements making them suitable for coloring. The cover of this paperback book features six-inch flaps (more figures to color! ), and printed on the verso side of the cover, an array of the same decorative drawings that punctuate each letter within the book. Manufacturing a book equal to the quality of Vogue’s historical covers required extensive research to identify the ideal paper to print on. The paper’s brightness, opacity and surface smoothness were all considered carefully, and finally, a 120-pound text (aka 65-pound cover) Accent Opaque paper was deemed perfect, but the next challenge was to make sure paper this thick could be folded well on the press equipment available for the large quantity of books being printed and the tight schedule we were dealing with. Press tests were conducted—luckily successful—though pushing at the limits of the equipment’s capabilities. Another embellishment to the book was including thumbnail-sized reproductions of the original covers (color elements are very uncommon in coloring books). 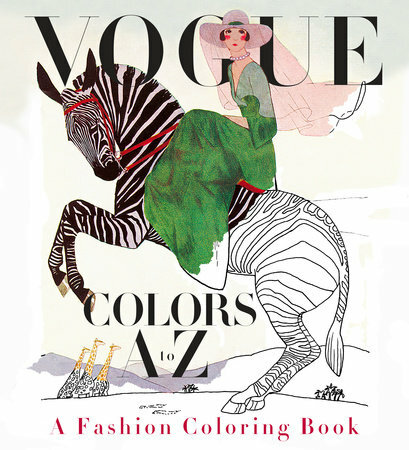 Their reproduction was critical, and including these references of the original art allowed Valerie the opportunity to identify the cover images’ creators along with fascinating anecdotes, which further elevates Vogue Color A-Z above other coloring books by adding fashion history, wit, and a challenge to this book’s colorist to match the original artwork. Read below to learn more about the book! 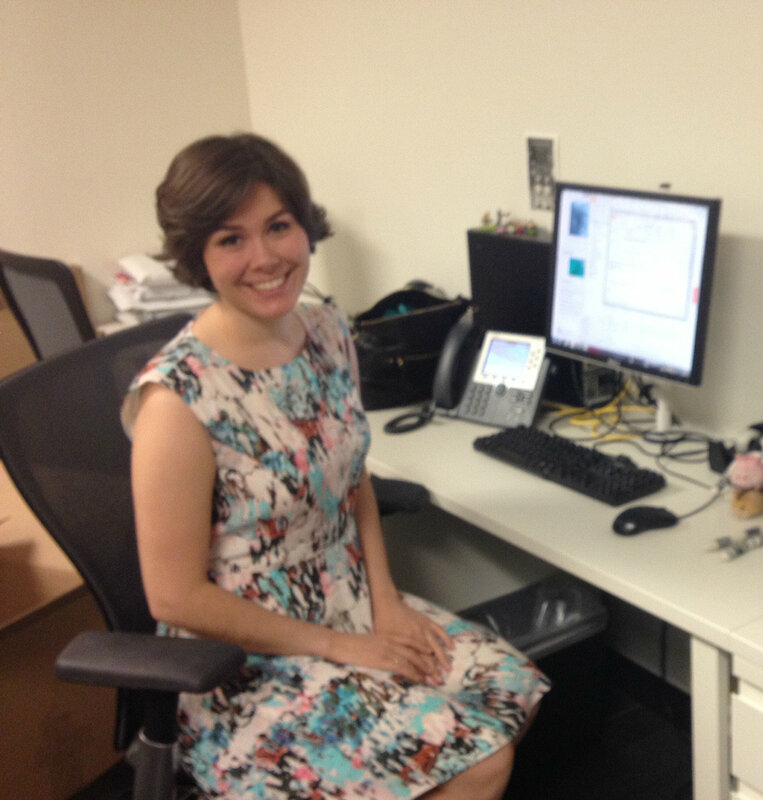 For book lovers, snagging a summer internship in publishing is a very big deal. Now that it’s almost time to head back to school, we asked our interns about their experiences at Penguin Random House. DK Publicity Intern: Lauren Díaz Morgan After moving to New York City in hopes of beginning a career in publishing, I was overjoyed to be accepted to Penguin Random House’s Summer Internship Program. But when I found out that my summer assignment would be in Publicity with DK, a nonfiction imprint for children and adults, I grew a bit nervous. Though I had experience interning at my university press back in college, I knew nothing about publicity, and I wasn’t sure how interesting it would be to work with nonfiction titles. To my surprise and delight, I have found myself to be very happy both with my department and with DK. 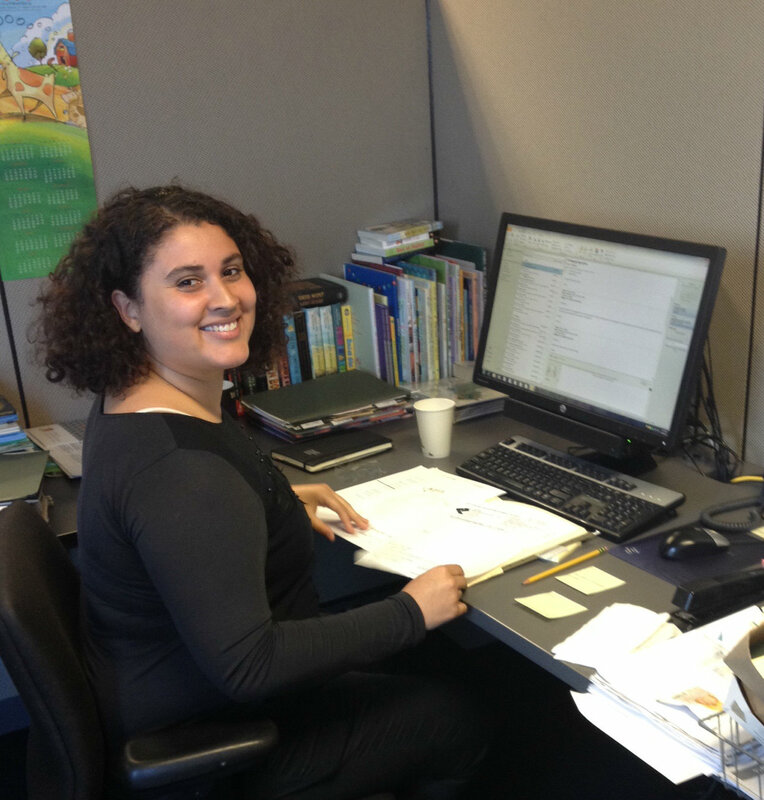 As a publicity intern, I am involved in reaching out to media outlets and generating interest in our books. This generally consists of brainstorming and researching outlets to which we can pitch our books; writing a press release that gives a brief summary of the book and explains why it is interesting, useful, or important; and mailing out a copy of the book along with a press release to each outlet, hoping that they will find it interesting enough to review. This can be especially fun at DK, where we publish such a wide array of titles. In one day, I can put together a press release and mailing for a book on cheese, another for a book about the Pope, and a third for a children’s sticker book. While I spend most of my time on the steps of this process, there are new tasks that pop up every day, whether they be helping to schedule an author tour or assisting with our holiday gift guide. Publicity is a new field for me, but I’ve learned so much in the past five weeks, and I’m glad to say that I’m really enjoying every day. I’m so grateful to have this opportunity with DK, and I’m eager to learn more as I continue working this summer. As an intern, working in production is like taking in the view from the top of the empire state building watching and observing the busy, bustling crowds below. I get a breadth of the publishing arc, I get to see it all happen and know the logistics of how it happens. While some may not appreciate the more business and formulaic side of publishing that production may well be it happens to fulfill my compulsive side to be neat and organized. A lot of my day to day tasks include working with excel sheets, excel sheets and some more excel sheets. They’re like the veins that keep production pumping. I help maintain sheets for estimates, royalties, trim size/page count, as well as updating statuses on SAP and Filemaker Pro for titles being reprinted. And then there’s digital, one of my favorite parts of production. This really surprised me because I’ve always hated reading books from a tablet. Regardless, I found that I enjoyed the immediacy of seeing the end product. It takes about a month to see a turnaround for an e-book, while it takes 6-9 months for a printed title! My tasks with digital production include writing memos to Aptara (the company who puts together the e-books) giving specific and detailed instructions on what we want the final product to look like. Once the files are made and returned to me, I check it to make sure it is exactly what we wanted. Afterwards, I circulate it to various departments where they give the “OK” or tell us what needs to be worked on. Easy! I’ve learned so much about the process of publishing already, so for the next and last 5 weeks of my internship I can only imagine how much more I will gain from the people who make this department work so smoothly.